The Town of Duck brings jazz to the Duck Town Park annually on Columbus Day weekend. Enjoy live music from a variety of jazz performers beginning on Saturday, October 6, 2018 through Sunday, October 7. Experience a full day of performances on two stages at this non-ticketed festival. 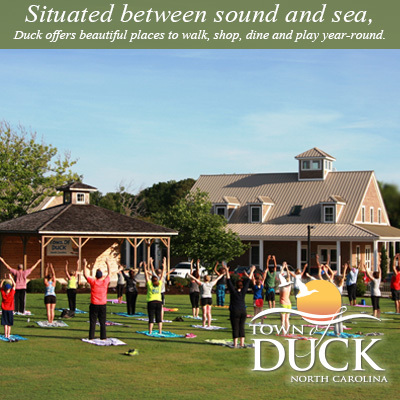 Watch for updates on events planned at the Duck Town Park for Friday, October 5. Extend your Outer Banks stay to enjoy jazz-themed events and promotions taking place throughout Duck businesses and beyond. Food and drinks will be available to purchase from various town eateries and chairs will be available for rent. Attendees are invited to bring food, coolers, chairs, blankets and pets. No beach umbrellas or tents are permitted at the event. The Duck Jazz Festival will be held rain or shine.